In response to a comment / question on an earlier blog, I have taken a quick look at applying Azure Policy to Azure Management Groups. 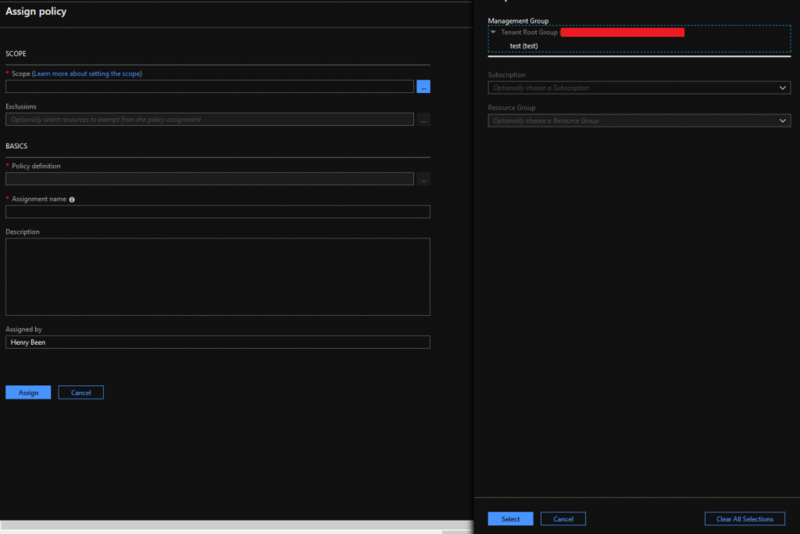 Azure Management Groups are a relatively new concept that was introduce to ease the management of authorizations on multiple subscriptions, by providing a means to group them. For such a group, RBAC roles and assignments can be created, to manage authorizations for a group of subscriptions at once. This saves a lot of time when managing multiple subscriptions, but also reduces the risk of mistakes or oversight of a single assignment. A real win. above the policy assignment scope. And from here on, I could just assign a policy to a management group, if I had one in that group already… After switching to defining a policy, I noticed that I now could also save a policy definition to a management group. So the conclusion is: yes, you can assign Azure Policies to Management Groups just like you can to a resource group or subscription, iff you already have at least one management group! Now, denying unwanted configurations is fine and can be a great help, but would it not be much better if we could automatically fix unwanted configurations when they are deployed? Yes.., this has pros and cons. Automagically correcting errors is not always the best way forward, as there is not really a learning curve for the team member deploying the unwanted configuration. On the other hand, if you can fix it automatically, why not? Just weigh your options on a I guess. Quite the JSON. Let’s walk through this step by step. First of all we have the conditions under which this policy must apply, this whenever we are deploying something of type Microsoft.Sql/servers. The effect we are looking for is deployIfNotExists, which will do an additional ARM template deployment when ever the existenceCondition is not fulfilled. This template takes the same form as any nested template, which means we have to respecify all parameters to the template and provide them from the parameters of the policy or using field values. Every ARM template deployment is done on behalf of an authenticated identity. When using any effect that causes another deployment, you have to create a Managed Identity when assigning the policy. 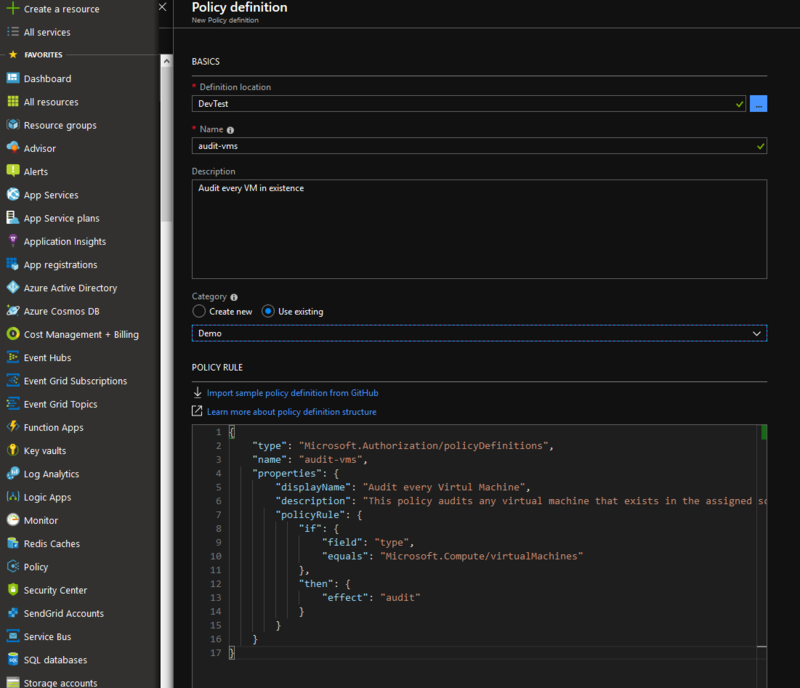 In the policy property roleDefinitionIds you should list all roles that are needed to deploy the defined template. 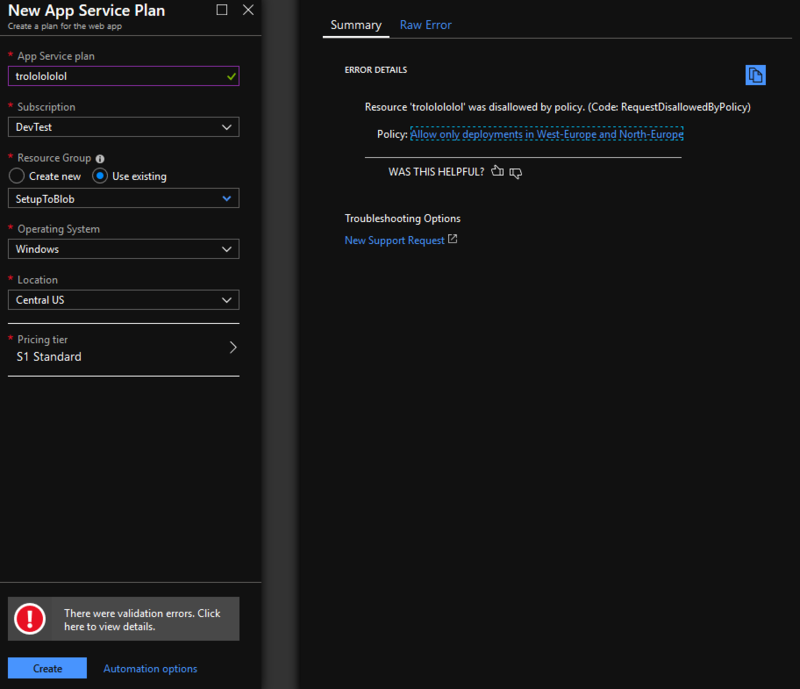 When assigning and executing this policy to a subscription or resourcegroup, Azure will automatically provision a service principal with these roles over the correct scope, which will be used to deploy the specified template. In my previous blog post I showed how to audit unwanted Azure resource configurations. Now, listing non-compliant resources is fine and can be a great help, but would it not be much better if we could just prevent unwanted configurations from being deployed? Let’s take the example of Azure regions. If you are working for an organization that wants to operate just within Europe, it might be best to just deny any deployment outside of West- and North-Europe. This will help prevent mistakes and help enforce rules within the organization. How would we write such a policy? If you attended and want to further discuss the topic, feel free to reach out to me! If you have been reading my previous two posts (part I & part II) on this subject, you might have noticed that neither solution I presented is perfect. Both solutions still suffer from storing secrets for local development in source control. Also combining configuration from multiple sources, can be be difficult. 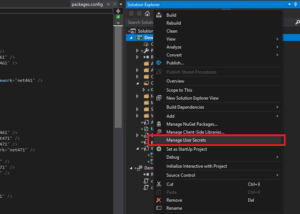 Luckily, in the newest versions of the .NET Framework and .NET Core there is a solution available that allows you to store your local development secrets outside of source control: user secrets. 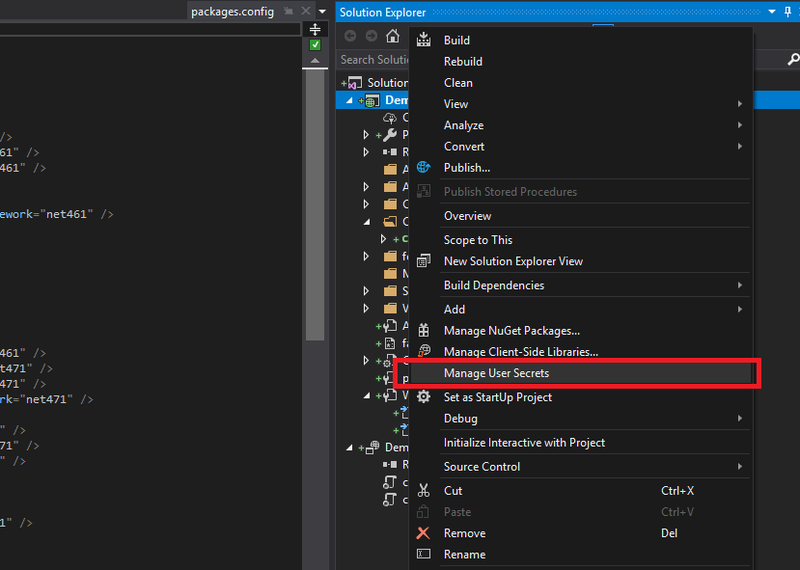 When starting the project now, these user secrets are loaded using config builders and available as AppSettings. So let’s take a closer look at these config builders. Important: If you add or edit this configuration by hand, do make sure that the configBuilders section is BEFORE the appSettings section. Now let’s make this more realistic. When running locally, user secrets are fine. However, when running in Azure we want to use our Key Vault in combination with Manged Identity again. The full example is on GitHub and as in my previous posts, this example is based on first deploying an ARM template to set up the required infrastructure. With this in place, we can have our application read secrets from KeyVault on startup automatically. Important: Your managed identity will need both list and get access to your Key vault. If not, you will get hard to debug errors. In my previous post (secret management part 1: using azurekey vault and azure managed identity) I showed an example of storing secrets (keys, passwords or certificates) in an Azure Key Vault and how to retrieve them securely. Now, this approach has one downside and that is this indirection via the Key Vault. In the previous implementation, service X creates an key to access it and we store it in the Key Vault. After that, service Y that needs the key, authenticates to the Azure Active Directory to access the Key Vault, retrieve the secret and use it to access service X. Why can’t we just access service X, after authenticating to the Azure Active Directory, as shown below? In this approach we completely removed the need for Azure Key Vault, reducing the amount of hassle. Another benefit is that we are no longer creating extra secrets, which means we can also not loose them. Just another security benefit. Now let’s build an example and see how this works. Again we start by creating an ARM Template to deploy our infrastructure. This time we are using a feature of the Azure SQL DB Server to have an AAD identity be appointed as an administrator on that server, in the following snippet. We are using the same approach as earlier, but now to set the objectId for the AAD admin of the Azure SQL DB Server. One thing that is also important is that the property for ‘login’ is just a placeholder of the principals name. Since we do not know it, we can set it to anything we want. If we would ever change the user through the portal (which we shouldn’t), this property will reflect the actual username. Again, the full template can be found on GitHub. First we request a token and specify a specific resource “https://database.windows.net/” as the type of resource we want to use the token for. Next we start building a connection string, just as we would do normally. However, we leave out anything related to authentication. Next (and this is only available in .NET Framework 4.6.1 or higher), just before opening the SQL Connection we set the acquired token on the connection object. From there on, we can again work normally as ever before. Again, it’s that simple! The code is, yet again available on GitHub. Unfortunately, you can not use this approach for every service you will want to call and are dependent on the service supporting this approach. A full list of services that support token based application authentication are listed on MSDN. Also, you can support this way of authentication on your own services. Especially when you are moving to a microservices architecture, this can save you a lot of work and management of secrets.